Long gone are the times when it would be 3 to 6 months before a new mobile handset was given birth to the consumer market by its manufacturers. The cellular industry was growing, but at a snail pace compared to the madness of the present age. Due to the high cost of service, handset manufacturers had fewer factors to appease in order to ensure sales to remain steady. But with the rapid evolution of the information age, mobile handsets have become the hottest item on the wish list, with launch dates and events. Week after week, a manufacturer begins sales of the latest model, or announces the plans of a new prototype device. The iPhone’s cult following, with people lining up for the launch, has taken the simple communication device to a new standing. And it is still hard for many to explain the need to stand all those hours for a mobile device. The smartphone arena has become the latest and hottest battleground for all device manufacturers. With more knowledge-able consumers gracing the market, the demand for devices that do it all has resulted in the numerous variants being produced to please every type of customer. Apart from the hardware, the fight has come down to the software that powers the handset. Ease of use, interaction, applications, connectivity; all form key factors considered by the customer before making a decision. Nokia has for long remained the numero uno in handset manufacturing, but it was Research In Motion’s (RIM) Blackberry line that brought smartness to the phone, supplying mobility to your work resources. Then came a new century and Apple revolutionized the touch factor for mobile phones. The madness that has ensued since has created manufacturing big-wigs out of Asian companies like HTC and Samsung. The benchmark set by the iPhone is consistently probed by other creators, in an effort to match and surpass the functionalities and market-draw held by the device. A recent report by Gartner showed that Symbian (Nokia’s proprietary OS) retained its majority on phone sales in 2010. That majority has been decreasing over time, with the research firm predicting that 2011 will see the top spot going to Android. However, the key factor that has already given fire to debate in the international circle is Microsoft taking second-spot by 2015, ahead of Apple, and Symbian dying out. One of the assumptions which may have led Gartner’s analysts to come up with these numbers is the link-up between Microsoft and Nokia, with the latter deciding to push the former’s Windows Phone 7 OS on all devices. Windows has developed the OS from scratch, with smartphones in mind, and has won rave reviews for having a good foundation, but needing work to make it a worth competitor. So, with all Nokia devices being Windows-powered, Gartner believes a fifth of the market to be with this dual powerhouse in the next 5 years. The dominance of Android is hard to negate. Google’s OS has seen its popularity shoot up with each period, and with an open-source approach, most handset manufacturers have adopted it with open arms. 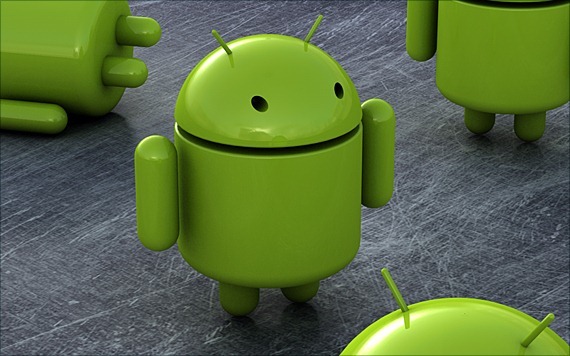 With Android powering phones at all price levels and a growing application market with lesser conditions, it has been a relatively easy push for retailers and manufacturers alike to sell their ware to the consumer. RIM’s continued drop in the ranks is often attributed to its lack of innovation, after being one of the pick of the enterprise crowd. While the company has made attempts in recent years to revamp its portfolio and improve its branding, especially the younger crowd, the delay in realizing the market needs and trends could prove to effect the drop. While the above numbers provide food for thought, another displays an astounding turn for the communication industry in general; Gartner predicting a 57.7 percent increase in 2011 of smartphone sales to 468 million units. What does this mean for the Pakistani market? Well, if the recent smartphone launches are anything to go by, the cellular operators are beginning to step up on the device front. The next question is if their networks will also step up? I don’t see Symbians having only 0.1% market share in 2015, no doubt Andriod is gaining market share but Nokia won’t wait and see, same is Apple. Symbian is a dying platform. Nokia was the only party who used it extensively. Chinese mobile companies support Android. I guess we can kiss Symbian good bye. is there any android or symbian based phone with WIFI and capacitive touchscreen within not exceeding 20,000.
nokia e52 best symbian with best battery. in andriod samsung galaxy mini 17k new. or go for used galaxy spica for best battery in android. new spica is 25k. used in excellent condidtion should be 18k to 20k. ideos is not a good mobile .its battery is not good. If I enable wifi and sync on my Nexus S, I have to recharge once a day. If I disable them except when I need them, I can go two days or more. except battery… its all good..
Android sponsored report or is it self claimed by Gartner. One reason people buy Nokia is because it is cheap (another reason quality). Think about the world market. How many people worldwide can afford $600 iPhone? How many people worldwide can afford $100 Huawei or ZTE? In numbers, Android will win marketshare. its impossible than symbian’s market share will fall to just 19.2 this year and 5.2 to next year. Symbian phone’s are still the market leader in Asia and in some countries of europe. That is smartphone share, not total phones. Im revently converted from nokia n8 to samsung galaxy s.and I must say that android system is faaaaaaarrr better thsn symbian .nokia symbian system is useless and outdated .android will rule the market …..
i am using android on my nexus.way better than iphone.nokia to aas paas bi ni aata iske. As much as I love Android and own an Android powered HTC phone, you guys should also cover the important story on the recent detection of malware on some apps in the Market as well as the very recent one about the Skype issue. I find these projections incredibly unlikely. Okay, we can expect Microsoft to make some share gains as it gets it finally gets its act together and belatedly achieves something remotely resembling a cohesive mobile strategy, but a gain of 15% market share is wildly optimistic, in my view. Microsoft has thrown its lot in with Nokia in a virtual acquisition of the latter company, after years of smugly denying that it needed to produce its own smartphone hardware. Fine. But, can we really expect the WP OS to be vastly superior to iOS and Android? And, even assuming this is the care, will the consumer even care? On top of that, the synergy between the OS and Nokia hardware will need to be up to par, an open question whenever Microsoft is involved. Apple and Google are not going to sit still. Apple has shown that its masterful integration of OS and capable hardware with ease-of-use and real-world functionality has created the standard for the smartphone experience. To project that Apple is going to lose two points of market share in this time period is ascribing a level of incompetence and lack of vision at the company that, frankly, is not borne out by past performance, and, if anything, is more accurately ascribed to Microsoft’s clumsy and misguided mobile strategies. I expect Apple to gain market share, as will Android. Microsoft will too, but marginally.